The draft legislation, the Highly Automated Vehicle Testing and Deployment Act of 2017, is being considered by the House Energy and Commerce Committee’s Subcommittee on Digital Commerce and Consumer Protection. Recognizing the promise of highly automated vehicles, NSPE has been a leading advocate on the need to place the public health, safety, and welfare first, and require a licensed professional engineer to play a key role in the development, testing, and safety certification of autonomous vehicles. NSPE is urging defeat of the legislation in its current form until these concerns are addressed. NSPE has been proactively working with Congress to address these vital issues. Rep. David McKinley, P.E. 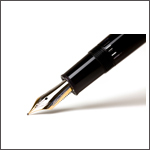 (R-WV), a longtime NSPE member, has been raising these issues with the subcommittee. In particular, NSPE and McKinley have expressed concerns about the lack of a requirement for a third-party certification by someone in the decision-making chain (i.e., a professional engineer) who has a duty that puts public safety first and overrides competitive pressures. Watch Rep. McKinley’s remarks on this topic. NSPE will continue to proactively advocate for the role of the professional engineer in ensuring the public health, safety, and welfare is of paramount importance in the deployment of highly automated vehicles. 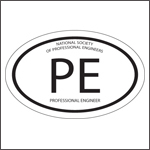 Read NSPE’s press release here.